James Russell developed the concepts underlying the compact disc (CD) and the digital video disc (DVD), both widely popular technologies that use light to store data. Russell's ideas were somewhat ahead of their time, and Russell has never profited materially from his inventions. Nonetheless, his work radically altered the computer, music, television, and film industries by making possible the digitization and optical storage of many different kinds of information. James Russell was born in Bremerton, Washington, in 1931. He became interested in science and engineering at a young age, and he was also a tremendous fan of classical music from childhood. He attended Reed College in Portland, Oregon, graduating with a degree in physics in 1953. After graduating, Russell found a job with General Electric, which had contracted with the federal government to manage the Hanford nuclear plant, located in southern Washington. At Hanford, Russell became interested in creating new tools, designing, among other implements, a welder that used a beam of electrons. The Hanford plant was built during World War II to provide plutonium and uranium for atomic and nuclear weapons. Because of its military importance and the sensitivity of the work, Hanford was located in a remote area of Washington state. Russell, who was living in nearby Richland, discovered that no radio stations in the area played classical music. To listen to the classical music he loved, Russell relied on his phonograph. However, the phonograph was unsatisfactory on many levels; for one, records were played with heavy steel needles, which quickly wore out the records. Russell began exploring ways to make his records last longer, including using phonograph needles made of cactus spines. The spines did not ruin the records, and they produced a better sound than the steel needles, but cactus needles wore out quickly and had to be sharpened constantly. Russell decided that the music industry needed a record-and-needle combination that would never wear out because the record and needle would never actually come into contact with each other. He thought the needle might be replaced with a laser. Russell did not act on his idea until 1965, when Battelle Memorial Institute, a nonprofit research organization, took over management of Hanford from General Electric. Russell and the other staff members at Hanford became Battelle's employees, a change Russell anticipated would allow him to research his interest in lasers. He soon persuaded his new employers to let him develop his idea of creating an optical system that could be used to record and play music. By 1970, Russell had created the first compact disc. As with today's CDs, the music was digitized into a code etched onto the disc using a laser. A laser was also used later to read the code, which was translated into musical sounds by a player. Russell's disc, however, differed in many ways from modem CDs; for example, the disc was about 12 inches (30 cm) in diameter. As Russell developed his audio system, he realized that if music could be digitized, so could video. Russell was very optimistic about the potential of this idea. "The vision I had in mind was of television programs on little plastic records," he later said. "The networks, instead of putting programs on television, would print records. And if you wanted to watch your favorite programs you'd get them in the mail and put in the disk whenever you want." Much to Russell's frustration Battelle lost interest in developing his optical-storage ideas. A venture capitalist, Eli Jacobs, did show interest, however. Jacobs founded Digital Recording Corporation in 1971 to fund Russell's research into video discs. Russell created a working video recorder and player that was unveiled in 1974. While working on the video recorder, Russell filed for a patent on a technique that is still used in compact discs. The technique allows a player to read data on discs in the correct order, a task called synchronization. The video player Russell developed attracted a good deal of interest; representatives from several large electronics companies, including Sony Corporation and Royal Philips Electronics, were sent to evaluate the technology. At the time, companies like Philips had developed a laser optical disc that, unlike Russell's technology, which digitized audio and video to make it clearer, relied on analog recordings and was often of poor quality. None of the companies that had been interested in Russell's technology proved willing to partner with Digital Recording, however, and the firm began to founder. In 1985, Digital Recording went bankrupt, and its intellectual property, including Russell's patents, was acquired by a firm in Toronto, Canada, Optical Recording Corporation. The company offered the inventor a two-year contract as a consultant, which he accepted, moving to Toronto. By then, compact discs were becoming a big business. Sony and Philips had introduced the first commercially available CDs in 1982. Although sales were initially slow, the improved sound quality of digitized music quickly gained the attention of audiophiles. In addition, compact discs began to interest the computer industry because they could store a great deal of information in a relatively small space. Sony and Philips significantly modified Russell's original design: their CDs were much smaller and were in many ways more sophisticated. Nonetheless, the underlying technology was extremely similar to Russell's ideas, which had been protected by more than two dozen patents. Russell's patents had been controlled by his previous employers, who had not gone to much trouble to enforce them, most likely because the compact disc was still a very new technology. As the compact disc became increasingly popular, however, Optical Recording decided to take far more aggressive action to protect Russell's patents. In 1986, Optical Recording notified every other company in the compact disc industry of the patents it controlled, offering them the chance to negotiate a settlement in lieu of taking the case to court. Two years later, the company reached its first major licensing agreement with Sony; agreements with Philips and many other large companies followed. One holdout was the entertainment giant Time Warner, which was manufacturing music CDs using Russell's synchronization technique. Optical Recording took Time Warner to court, and in June 1992 a federal jury found that Time Warner had violated Optical Recording's patent. 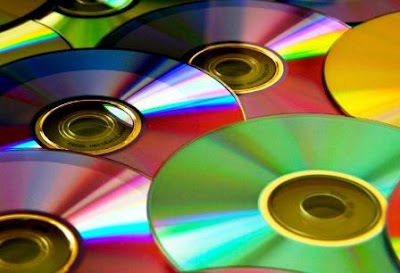 Time Warner, which had by then manufactured 450 million compact discs, was ordered to pay Optical Recording $30 million. Russell, however, received none of that money. His two-year contract with Optical Recording had expired before the company reached its first licensing agreement, and he had moved back to Washington. Russell worked as a consultant, establishing a company called loptics in Bellevue, Washington, in 1991. loptics focused on developing computer memory systems that used light; such systems would store more data and be faster than conventional memory storage. The low cost of traditional memory and production problems at loptics combined to drive the firm out of business in 1999. Russell continues to live in Bellevue, where he works as an optics consultant. Russell’s patents expired in the early 1990s, a few years before the introduction of the DVD made his idea of television programs on records a reality. The CD had largely replaced the vinyl record as the dominant format for music and the ﬂoppy disk as the dominant format for software. The DVD would do the same, largely replacing videotapes. By 2004, around 70 percent of US. households owned a DVD player and DVDs-in part because of services that, as Russell had anticipated, mailed discs to people's homes for a rental fee. These services continue to challenge the movie and television industries.